Warner Bros. has released a special supercut trailer highlighting the dynamic of Batman and Superman, as promotion for the Justice League digital release. A new promotional banner has also surfaced online, which features the Big Six. Warner Bros. has released a clip from the Suit Up: The Look of the League bonus feature from the Justice League home release. The clip takes us inside the film’s costume design with designer, Michael Wilkinson, as he discusses the creation process of the superheroes’ costume. Justice League is out on Digital HD today, and on DVD & Blu-ray on March 13th. Entertainment Weekly shared a first look at a scene that was cut from the theatrical version of Justice League. It features Superman going back to the Kryptonian ship after his resurrection to get his suit. Among the outfits is a black version of the suit. Henry has confirmed before that he did shoot scenes wearing a black Superman suit. Check out the short clip below, and screencaps in our gallery! The film will be available in digital HD on February 13th, and on DVD & Blu-ray on March 13th. 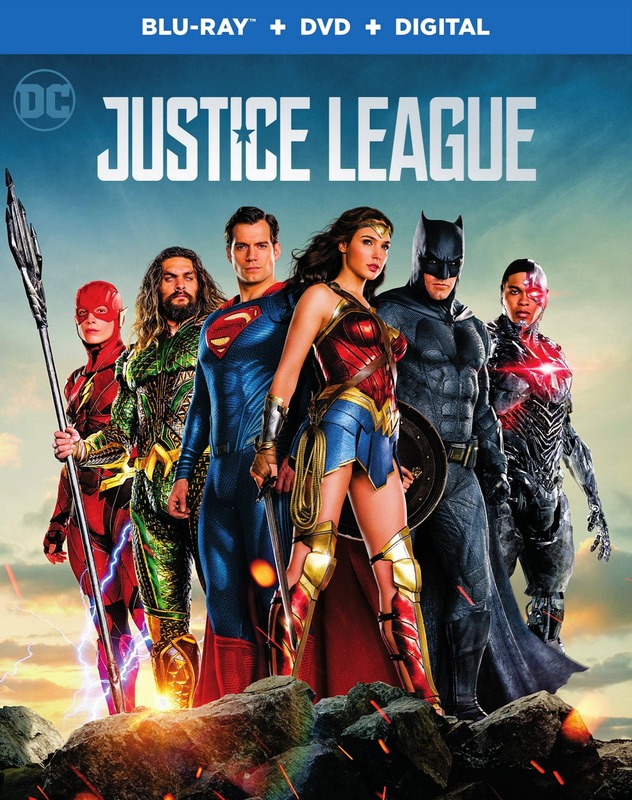 Justice League is coming to home video on March 13th! You can watch the short video announcement below, which also gives us a glimpse at a deleted scene that appears to be focused on the Man of Steel. The Blu-ray release includes several scenes that didn’t make the final theatrical cut, along with behind-the-scenes featurettes. Road to Justice – Journey alongside DC comic creators as they explore over fifty years of the Justice League, from comic books to animated adventures to their cinematic debut. Heart of Justice – Discover the heart, soul and mind of the Justice League, as the cast and filmmakers share their admiration for DC’s iconic Trinity: Superman, Wonder Woman and Batman. Technology of the Justice League – From Batman’s arsenal to Cyborg’s alien tech, interface with the Justice League database to learn their most advanced secrets. Justice League: The New Heroes – Join Ray Fisher on a personal tour to meet the newest members of the Justice League: Aquaman, the Flash and Cyborg. Steppenwolf the Conqueror – Join actor Ciarán Hinds and the filmmakers as they reveal the story behind mankind’s ancient enemy and the Justice League’s greatest challenge. Suit Up: The Look of the League – Costume Designer Michael Wilkinson explores the innovation and artistry that goes into creating the costumes of DC’s iconic heroes. The Justice League cast members Henry Cavill, Gal Gadot, Ray Fisher, and Jason Momoa attended the ACE Long Island convention last December 8th to 10th. As Henry announced in his Instagram account, he conducted a Search for Hope treasure hunt wherein 30 original Superman sketches were hidden around the convention for fans to find. Clues were posted on Henry’s Instagram, which helped fals figure out the location for each sketch. All 30 individuals received a rare limited edition Superman coin and had a wonderful opportunity to attend a private Q&A session with Henry himself! Check out high-quality photos in our gallery, and the videos of the panel and the private Q&A below. Sorry for the delay on this! Happy Holidays to all. The cast also did autograph and photo-op sessions. I didn’t include any to add to the gallery, as I felt weird posting some without the consent of the people. If you were one of the lucky ones to attend the event and had a photo-op with Henry and would like to share your photo with us, you’re more than welcome to send them to us via email! Just include a name or link for us to credit.